Anyone who heats with wood knows that finding a load of free firewood can save you a lot of time and money. Let's face it…..not everyone uses firewood for heat. In fact, many people who don't burn wood actually think of firewood as a nuisance. Here's an example, lets say a strong storm rolls though and knocks down a tree in your lawn. Even though it's a little work to cut it up, once you're done you have a decent amount of useable firewood. Now lets say your neighbor also has a tree fall in their yard. Since they don't burn firewood and you can't just throw firewood in the trash can, chances are they will be happy to have someone come and pick it up for free. This is a scenario that happens all the time. Free firewood is out there and it's easy to find if you know where to look. 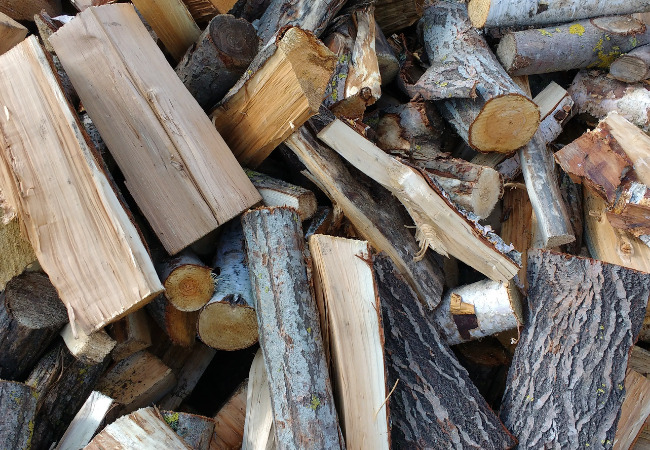 Here are 5 great places to find firewood that's free. 1. Craigslist - This is perhaps the easiest and cheapest way to find firewood. A simple search will usually give you several options to choose from. Or, post a "wanted add" yourself and let the people contact you. I don't recommend responding to adds where the person wants you to cut down a tree in their yard and you get to keep the firewood in return. There's just too much risk and liability. 2. Local Government - Since the invasion of the emerald ash borer dead ash trees are showing up everywhere. These trees (which once lined many city streets) are now being cut down by local employees because they are dead or dying. Last summer a local city cut down about 12 or 15 big ash trees along the side of the road. Once the city officials cut up the trees they left the firewood in a pile at the edge of the roadway for people to pick up for free. Remember to ASK someone before you just assume the wood is free. 3. 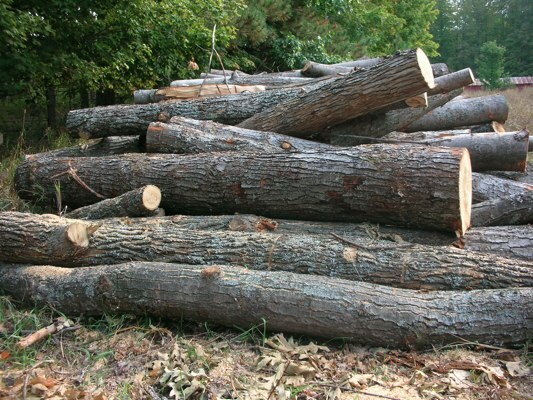 Tree Removal Companies - A lot of tree removal companies are always looking for a place to get rid of a few trees. If the company is doing a job nearby you might find they will either drop the wood off at your house or allow you to come pick it up. This option requires you to be proactive and actually call the company to see if they have anything available. 4. 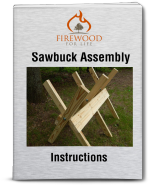 Pallets - Shipping pallets make great firewood, especially for campfires. Although they contain nails the pallets are often thrown away or given away for free. In fact, we have a local pallet manufacturing company nearby who allows people to load up pallet scraps for free. 5. Ask! - Maybe this should have been the #1 way to find free firewood since almost every option requires you to ask someone for the wood. Chances are no one is going to come to you and say "Do you want some firewood for free?" If you're serious about finding some free stuff you can't be shy. A quick load of free wood to burn can turn up anywhere. If you're always on the lookout and you're not afraid to ask, it can be a fun and easy way to increase your firewood supply.